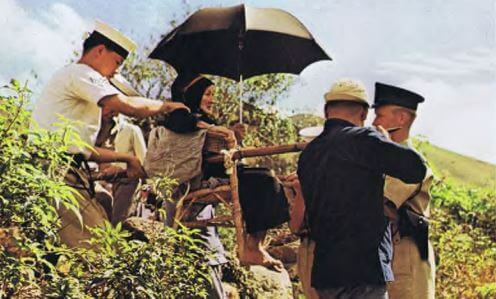 ..the consultants chose a large valley in the south-western part of Lantau Island. In the centre was the small village of Shek Pik and its 200 inhabitants. A smaller village, Fan Pui, with its population of 62 people, stood at one end of the site which the consultants planned for the earth dam. When the engineers first met these villagers there was hardly a road on Lantau Island. Their homes were older than many of the mainland settlements and their way of life had remained unchanged throughout the years. Some had never seen a motor car before and one old woman of 86 had never left her village. Now, while a fleet of tractors, earth moving equipment, excavators and dumper lorries were being assembled the people of Shek Pik and Fan Pui were asked if they would move their homes. 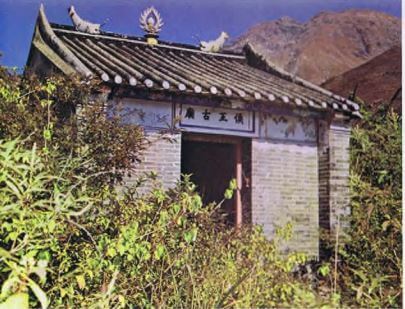 Caption: This temple at Shek Pik is all that remains of the village which once stood on the site of the dam. As the water level in the dam rises the temple will be completely submerged. This article was first posted on 24th March 2016.